Gripper pad with nylon reinforced face. Heavy duty foam padding. Quick release buckle, adjustable straps. 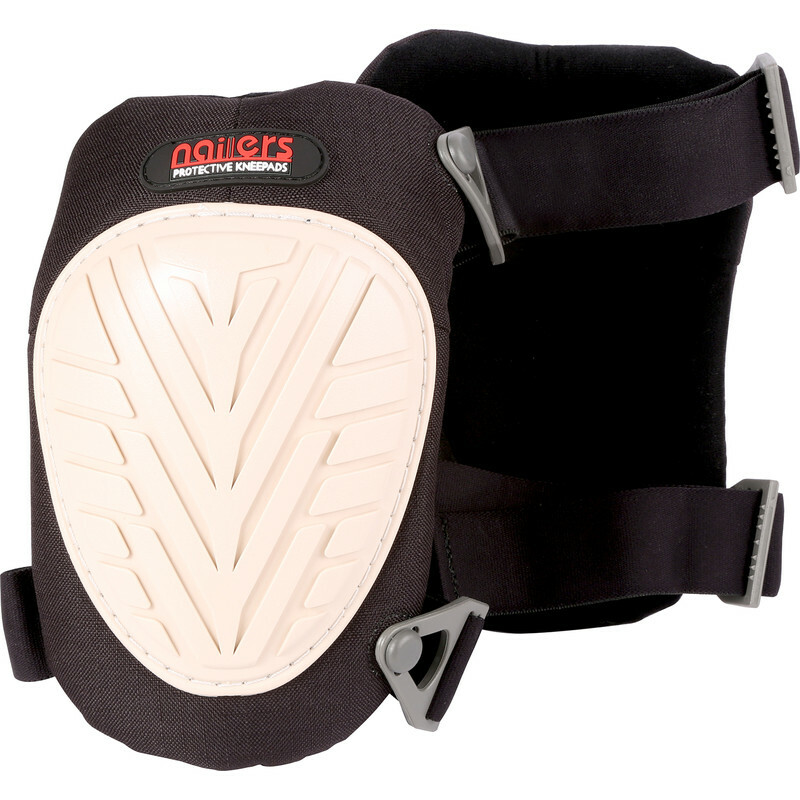 Nailers Non-Marking Foam Knee Pads (2 Pack) is rated 4.8 out of 5 by 4. Rated 4 out of 5 by Peter R from Comfortable. They fit well and stay in place, comfortable when kneeling though the hard surface of the pads can cause them to slip when kneeling on hard surfaces such as ceiling joists.